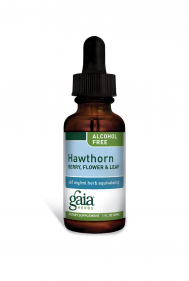 Hawthorn has long been used to support heart health. The herb, which is grown on the Gaia Farm, supports healthy cardiovascular functions and the integrity of connective tissues. It is rich in plant flavonoids, which support cell integrity and provide antioxidant support. This formulation is alcohol-free.